Also, I kept on procrastinating this last post of my MAAN blog for many other different reasons. 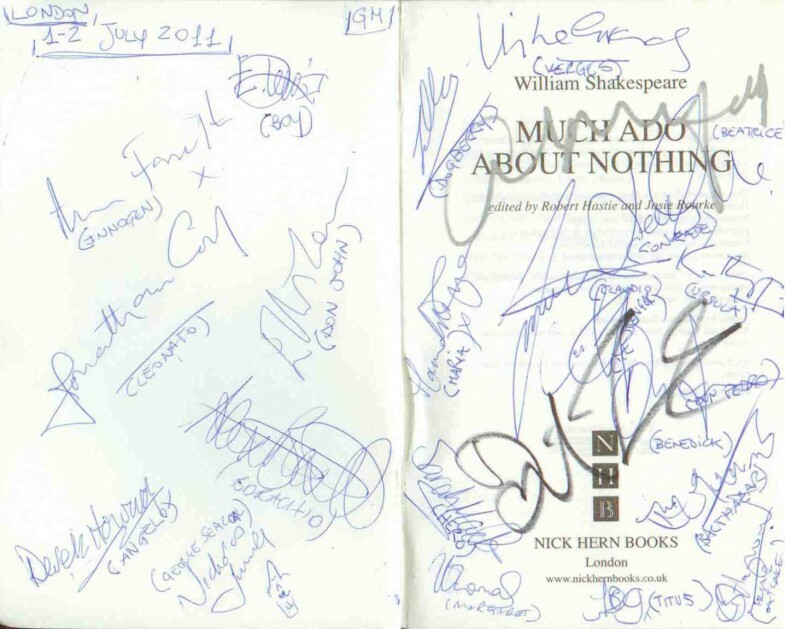 For one, I feel proud I was able to start, maintain and end a project which for me was rather ambitious – a quite autobiographic, partly scholarly, partly funny blog about a Shakespeare play written in English, and I was not sure how to end it. And I felt quite sad too, because the last post means that it is going to be over… And last but not least, I was welcomed by my 4-year-old son’s chickenpox as soon as I was back from London. I chose then at last to share with you my impressions… interviewing myself! I will answer to the questions I sent to my friends before watching the play, trying to be the most objective and accurate as possible. Enjoy! Would you like to introduce yourselves to the readers of The Shakespeare Standard? My name is Germana, 35, Italian, mother of two, a BA in English Language and Literature at “La Sapienza” University of Rome. Export Manager Assistant, Translator, Associate Social Editor for The Shakespeare Standard, amateur photographer, compulsive reader and book reviewer, Sci-Fi geek, rock music addict and massive David Tennant fan. I’ve known this comedy since I was in high school. I had this fantastic teacher of English who took our class to watch the Kenneth Branagh movie as soon as it was out, and before and after we read and discussed it in class. 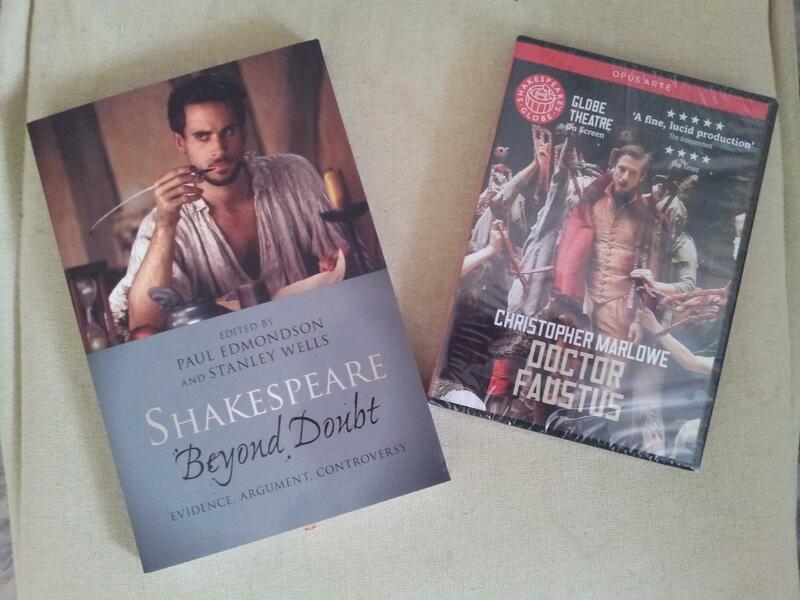 I also watched the BBC Classic version of the play and the Shakespeare Retold one, which I enjoyed very much. I needed not to be convinced. I was on holiday on Piedmont’s mountains with my family at the very beginning of the year, and I received this frenzy SMS from my friend Silvio from Trieste, something like “David Tennant and Catherine Tate are going to perform next Summer Shakespeare’s Much Ado About Nothing in a London theatre!!!! Squeeeee!! !” On the 9th of January I had already booked the tickets online. And the rest is history. As I pointed out here and there in my previous posts, long before being a DT and CT fan I was a Shakespeare lover and, seriously speaking, a scholar, and quite a traditional one. Of course it’s not that I think his plays should be always acted in Elizabethan dress and stages, but I don’t like avant-garde theatre when applied to Shakespeare. I admit I was then quite perplexed after the first performances of the play at Wyndham’s and news came out about its Gibraltar set during the 80s and Hero’s Lady D wedding dress, followed by the usual outburst of “love it or hate it” journalists’ commentaries. I was quite sure anyway that Josie Rourke, while “refreshing” it, would have never “spoiled” or misrepresented a Shakespearean play. Therefore, I was happy to test first-hand how fine a performance they all were able to create with this production: both a serious and lighthearted version of the play, perfectly balanced, performed by an amazing cast, from Leonato to the Boy, on an essential and awesome set, and, which to me is the most important thing, where Shakespeare’s “words” were not twisted and were allowed without restraints to create the fantastic world of Much Ado, relieving the most pedant side of my “Take Anything But My Bard’s Words” character. I also enjoyed the choice to represent it at Wyndham’s Theatre, with its huge stage and the “right” amount and positioning of seats which permit the audience to have a good sight of the actors on scene from nearly any place, giving anyone the opportunity to share the performance event in a comfortable and intimate way. What is the thing you liked the most, and what did you dislike about the show? I must repeat myself, as I really fancied the high quality of the whole cast. The fact that the audience was not subject to watch, as someone maliciously pointed out when the show was announced on January, “The Doctor and Donna” or “David Tennant inevitably stealing the scene from other actors”, and that every character has his space and his chance to express himself without any “prima donna” on stage is something that can make an already convinced fan prouder and prouder of his or her favorites. I cannot help thinking that some supposed theatre columnist should put a post-it on his/her desk with this note: “Before starting to criticize, remember that the 18th Century is over and 21st Century theatre is something completely different”. Some of them just seem to ignore that Garrick, bless him, died a long time ago. I think Sarah MacRae is a perfect Hero, a delicate and clever girl with a strong character, and Tom Bateman the Claudio: naïve, passionate and a soldier faithful to his Prince. Adam James’s Don Pedro is the most suitable leader, very supportive with his troop, and a little bit too self-confident not considering the teasing nature of his brother Don John, a superb Elliot Levey, whose comrade Borachio was convincingly performed by Alex Beckett, while smart Conrade was the awesome Lee Knight. Kathryn Hunt’s Ursula and Anna Farnworth’ Innogen, Angelo’s (Derek Howard) and Leonato’s (Jonathan Coy) wives, were the perfect match to their husbands and a really well-chosen couple of actresses which makes the stage’s action even more lively and colorful. I would like to dedicate some lines to John Ramm, performing Dogberry. As my faithful readers may already know, he is the character of the play I dislike the most. I admitted previously I just could not find a sense to his puns and clowning in the plot of the whole play. I am sorry to Mr. Michael Keaton, but I didn’t enjoy his performance in Kenneth Branagh’s movie, either. I completely changed my opinion when I saw Mr. Ramm in action: his Rambo-with-a golden-heart attitude and his deeply rooted good faith in the defensive role he must accomplish at Leonato’s completely conquered me, and not only made me laugh out loud but opened my mind to understand one aspect of this play I was completely missing, and I will be always grateful to this actor for that. Mike Grady as Verges, Nicholas Lumley as George Seacoal and Clive Hayward as Friar Francis/Hugh Oatcake, together with the rest of the cast, perfectly completed the harmony of a seamless representation. It must be said that the reconstruction of that period is really awesome and precise, from music (the answer to the next question) to dresses, to any wee detail. I can recall for example the plastic spiral straw – one of the best gadgets of my childhood – which Benedick uses to drink from a can in the scene where Don Pedro, Leonato and Claudio friendly deceive him to make him fall in love with Beatrice, or the title of the book the Boy carries with him in the same scene – Dune by Frank Herbert, which David Lynch adapted for the big screen right in 1984. This was another thing I was quite scared of: the fact that they announced at first that they would use music from the 80s to be performed during the play. Of course there are a lot of good hits from these years, but I was just worried at the idea of a Disco Shakespeare. Michael Bruce cleverly used the lyrics of the songs which are included in Much Ado, together with some from other Shakespeare’s plays, and made them sound like “classics” from the 80s, creating an interesting and not at all invasive soundtrack which accompanies the most poignant scenes, e.g., the fancy-dress party or the really dark and dramatic scene showing Claudio alone at Hero’s tomb. Yes, absolutely. I do not agree with some critics who judged Catherine Tate’s Beatrice to be way too similar to her comic characters or to Donna Noble. I wonder which play they went to see. She is rude, funny, moving or mocking exactly when Shakespeare’s Beatrice is supposed to be, and, in faith, considering that English is not my mother tongue, I think that she is able to finely express words which are five centuries old rather fluently and clearly. She epically acts with brilliant plausibility and masterly skill in, for example, the scene in which Beatrice refuses Don Pedro’s wedding proposal, exploding in a loud laugh, ignoring at first that he is really meaning it, and when she gets serious and mortified after she understands that he was really declaring himself, one can really feel embarrassed for her. Not to mention how well she can handle the skirmishes during Beatrice and Benedick’s “war of wits” bits, and how touching is she when Hero is refused by a deceived Claudio, spectators can witness how much she is involved in her character’s pain from the tears she graciously sheds during the whole scene. Catherine Tate’s Beatrice is both strong and delicate. She pretends to be absorbed only by her problems, to be careless of others, but she renounces this promptly to enjoy the sudden happiness of love and take care of her wronged cousin, asking Benedick to kill his best friend and seriously risking to lose him – again. It’s a mature Beatrice she is acting, with clear ideas about what is right and what is wrong, expressing herself in a way which is neither straining nor rough. She seems to feel alone at Leonato’s chaotic house, where everyone is busy doing or plotting something, while she just wants to be free to make the right choices for herself. She gives the impressions that Beatrice subjects herself to Benedick’s love because she had already been in love with him for a very long time – as Shakespeare would have intended in the lines when she refers to the “double heart for a single one” which gave the title to this blog. For this and many other reasons then, I completely agree with David Tennant’s choice to have her as his Beatrice. And after Tennant’s deserved success in RSC’s Hamlet two years ago, I think that thanks to Catherine’s company in such a merry play as Much Ado he is now spending an enjoyable summer – not only for the fact that I think he’s the first to prefer to end a show dancing rather than dying on the stage, every night, for months. When we first meet his Benedick, we are dealing with a soldier who comes back from war simply wishing to attend parties, to drink, and court ladies without starting any proper relationship. He feels confident at Leonato’s as if he had already attended his house many times before, but somehow the fact that he is defending bachelorhood so strenuously makes one feels that he is trying to convince first himself, then people surrounding him, about the rightness of his theories. His “conversion” to love as soon as he listens to his mates’ chats, while he is hidden behind some columns, is so fast and so sincere, that his character seems quite relieved by the news that such a fair lady as Beatrice can love him – you can easily imagine the audience curling up with laughter at his double question: “Love me? Why?”, when he is wearing a Superman T-Shirt and he is covered with paint from head to toe. As far as it was for Beatrice, it could be true that only silly pride was preventing him from declaring her his love before their friends’ trick brought that to light. As soon as the second act begins, David Tennant’s Benedick becomes more and more serious. He is the only male character of the play who shows himself fully conscious of Hero’s drama. He never supports his mate Claudio, believing straight from the accusation that the girl has been disgraced without any fault, and seems to accept to challenge him not only for Beatrice’s love but to defend the weaker and offended side of their small but complicated world. Benedick is not a chauvinist after all, and the instinctive and passionate, but inherently logical style in which Tennant performs his role, sparing no efforts to render it nothing but coherent with the natural developing of both his character and the plot, gives the spectator a hint about how hard he must have studied to put up such a lively and plausible version of “Signior Mountanto”. A final consideration about what I use to judge an actor, to help the reader better understand my point of view about this production: I try not to discuss the person or his/her past or different roles. 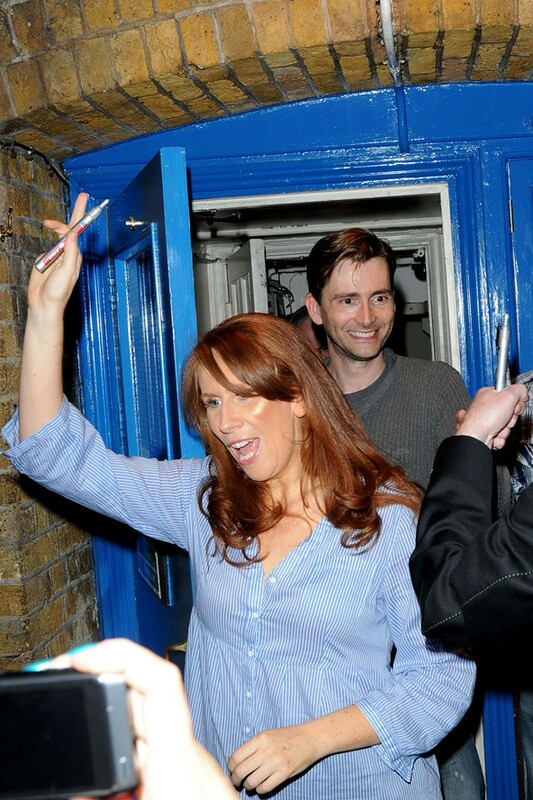 Of course, the fact that Catherine Tate and David Tennant are friends in their “real” life can do well for this play, for example, and the chemistry between them is indisputable, but talking about added values, I think it’s important to consider them first as two professional and incredible trained actors who really deserve their success, for their hard work and for the sincere passion they put in their job. And I swear on Yorick’s tomb that I am impartial, and even if I like them very very much my impressions are purely objective and I would have shown my discontent if I had not enjoyed their performance. I think he would have liked it. He would have loved the highly sympathetic, audience-friendly approach of the main characters, which I found very populist in a positive way, very graceful and natural at the same time. And I think he would have asked to try and drive the golf buggy. So, that’s my two cents about David Tennant and Catherine Tate’s Much Ado. I would like to thank from the bottom of my heart this amazing website I collaborate with, and I am very proud and honored to be part of its staff. I would like like to say a special “GRAZIE!” to Mr. Jeremy Fiebig, its Administrator, who always supported me from the beginning of our cooperation and who gave me the fantastic opportunity to start and maintain this blog. And all my love and respect to the fantastic Lacy White, who patiently copy-edited my posts – Lacy, you really are the sweet Champollion of my sentences in Italenglish. Now, before I become soppy, my final thanks go to all the friends who accepted to be interviewed – and tormented – by this crazy geek, starting from the matchless English friends who made me feel at home when I was in London (my sister of soul Trish Starkey, amazing Bianca Dye and her glorious Mom Margaret, and unparalleled Lora Colver, to whom I dedicate a special BOOM! [you know what I mean sweetheart], glorious Helen Riley and delicious Lisa Walsh). 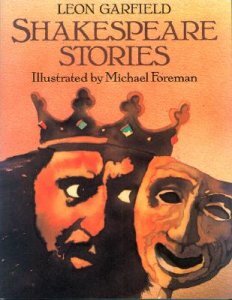 And thanks of course to all the patient readers who followed me during this journey of discovering Shakespeare and myself together. All the best to anyone, then, looking forward to my next Shakespeare “thing”! Ciao e a presto!! !